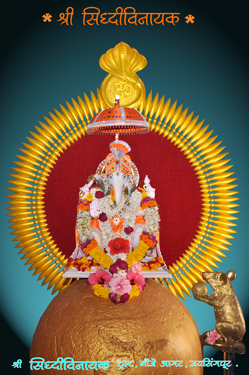 The idol of ganesh is 30 inches (2.6 FT), pure white, sitting on a lotus flower. The main premises has been painted with the theme of sky. 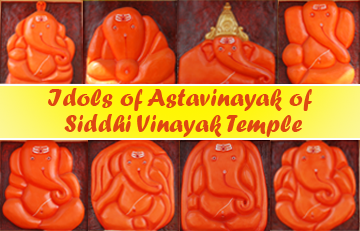 The Idol of Ganesha is sitting on earth. The concept has been that the lord is not only on the earth but also in the sky. 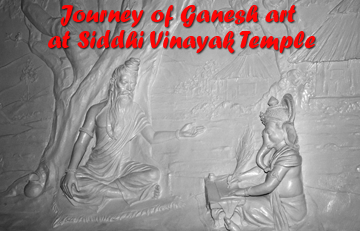 The main premises has been sculptured with various instances of the journey of Ganesha. 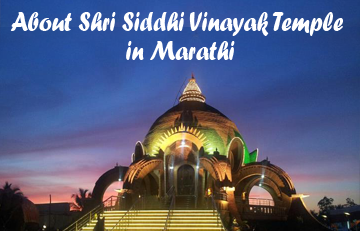 The passage to ashtavinayak darshan is of 108 ft.
With beautiful garden, lawn, sitting space, fountain, excellent electriication.